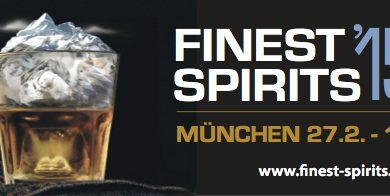 Benromach bringt in der exklusiven Heritage Range nach den Vintages 1972, 1973, 1974 nun den…. ja richtig, den 1975 auf den Markt. Ganz günstig ist auch der nicht, wird aber sicher bei dem ein oder anderen Sammler landen. First, lift your glass to the light and appreciate the beautiful rich gold colour created by lingering for 41 years in a single Refill American hogshead as the whisky grew and matured in character. Take a short inhalation, savouring the aromas without water. Enjoy the sweet honeycomb, toasted malt and luscious apricot infused with notes of warm ginger and fresh citrus. Underlying all these is a delicate hint of sugared almond. Now take a sip. At first, you may taste a delicate sweetness, with hints of white pepper, dried tobacco and dark cocoa. These evolve into a medley of mature oak flavours, leading to a rich, smooth smoky finish. Add a few drops of water and take time to enjoy the nose as it develops… subtle floral hints follow the fragrant notes of sweet candied peel and honey. Now lift it to your lips and enjoy a slow sip. Smooth peppery and zesty orange notes emerge, complemented by a hint of pear. Finally, a subtle leather undertone combines with a fresh menthol edge and a trace of smoke on the finish. Sublime. Und für alle, die noch mehr Hintergrundwissen haben möchten, hier die offizielle Pressemitteilung. 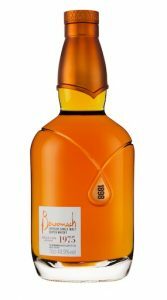 A Speyside distillery has launched an intriguing, single cask single malt whisky to its Heritage range to celebrate its growing global popularity; Benromach 1975. With an outturn of only 162 bottles available worldwide, Benromach 1975 (ABV 49.9%), cask number 3434, is a rich and full-bodied, dark golden malt. Matured in a carefully selected refill American Hogshead, this single malt whisky has hints of white pepper, cocoa and dried tobacco. The rare Speyside single malt, which was distilled before the Urquhart family, the current owners of Benromach, took the reins and brought Benromach Distillery back to life, is presented in a bespoke decanter-style bottle with the contours and copper-colour of the neck and shoulder line depicting Benromach Distillery’s stills. The wooden presentation box is inspired by the home of Benromach, reflecting the copper of the stills, as well as the dark, grained wood of the original washbacks and the white of the lime-washed distillery walls. A beautifully written, hardback book accompanies the whisky and delves into Benromach’s history, as well as providing whisky fans with some fascinating stories about the craftsman who, for generations, have tended to the spirit. Former Brewer Tom Anderson, who still lives in a cottage at the distillery, was one of the men to witness the filling of the last casks at Benromach, and proudly signed his name on the wall of the filling store whilst former malt man and warehouseman, Willie McArthur, was responsible for tending to the precious casks. 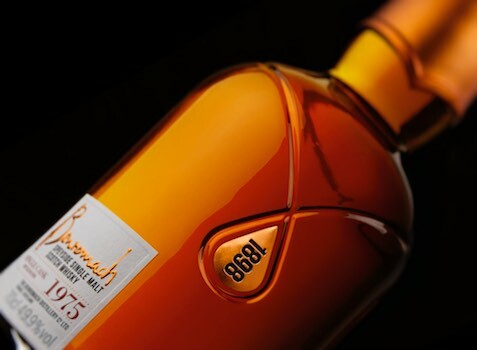 The limited edition Benromach 1975 is available from specialist whisky retailers. The UK RRP is £1,250, with RRP globally varying depending on local taxes and duty.